On 8th January a fact-finding team left for Sri Lanka. 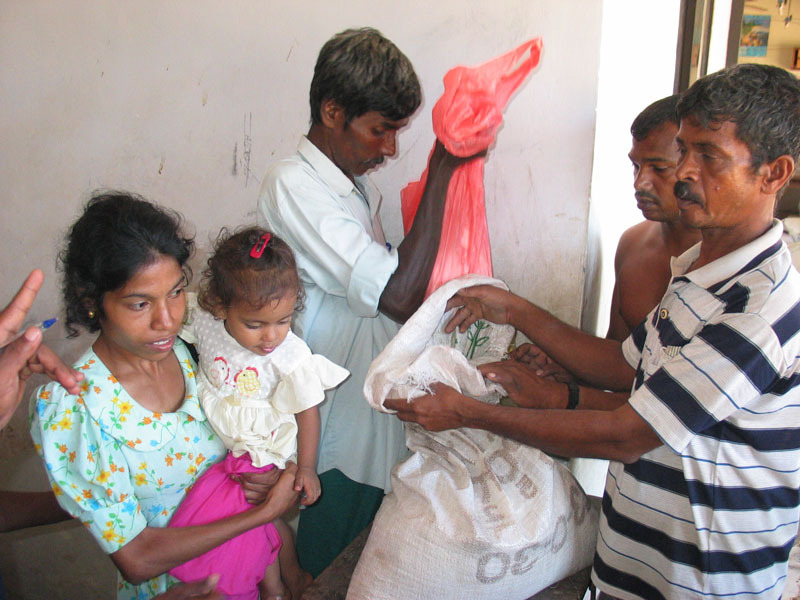 Under the direction of the journalist Ulrich Behmann, founder of the prestigious charity organization „Children in Need“ („Kinder in Not“), the team headed for Sri Lanka’s coastal region of Galle Distriks to explore and find areas where they could offer emergency assistance and to establish longer-term help for self-help. In Paraliya at Hikkaduwa, where a village was wiped out and the Express Train No. 50 was flooded off the tracks, resulting in a death toll of more than 2500, the staff of „Hameln-Pyrmont Helps“ was invited by the Regional Secretariat to set up a field hospital. As an emergency measure, on 12 January 2005 a school was prepared as a shelter in order to provide flood victims with medical and general supplies under the direction of Reinhold Klostermann from Hameln. Klostermann, Deputy Chairman of the German Society for International Aid (Interhelp), headed an international team of entrepreneurs, teachers, rescue assistants and team helpers in an effort to provide more than 18,500 (!) persons with medical treatment during the period until 15 March 2005. Their cooperation partner was the Balapitiya Base Hospital. Mr. Amarasiri Kuruwage, State Secretary to Minister of Justice Amarasiri Dodangoda, asked „Hameln-Pyrmont helps“ to provide tents and beds for the victims to support them in rebuilding their homes. 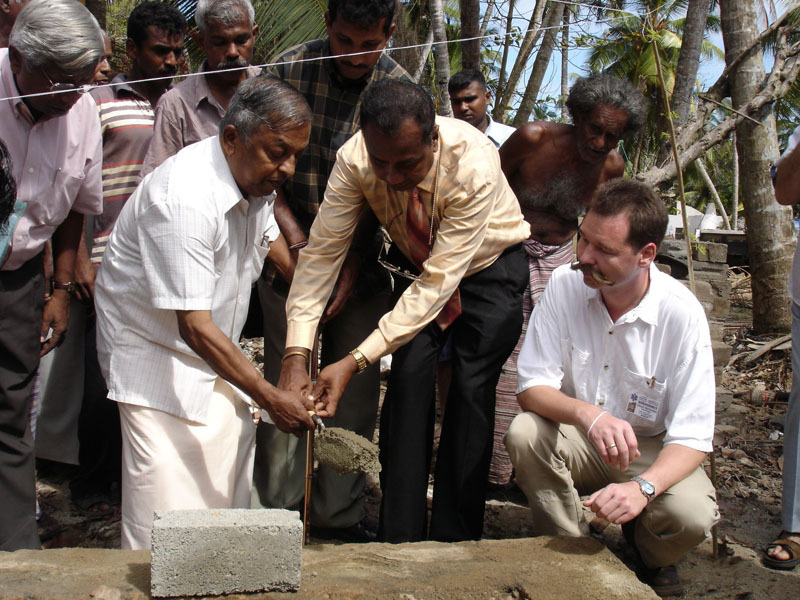 Germany’s minister of foreign aid and development, Heidemarie Wieczorek-Zeul, visited the projects and highly commended the „Interhelp“ efforts at home and abroad, particularly because the organization was the first worldwide to offer relief to Sri Lanka Tsunami victims following the disaster of Christmas 2004. In the first days, more than 6 tons of rice and onions could be purchased on location with money donated by the Rotary Club, Bad Pyrmont. Medical supplies and tents that could not be bought in Sri Lanka were flown into the country with the kind support of Emirates Airlines. 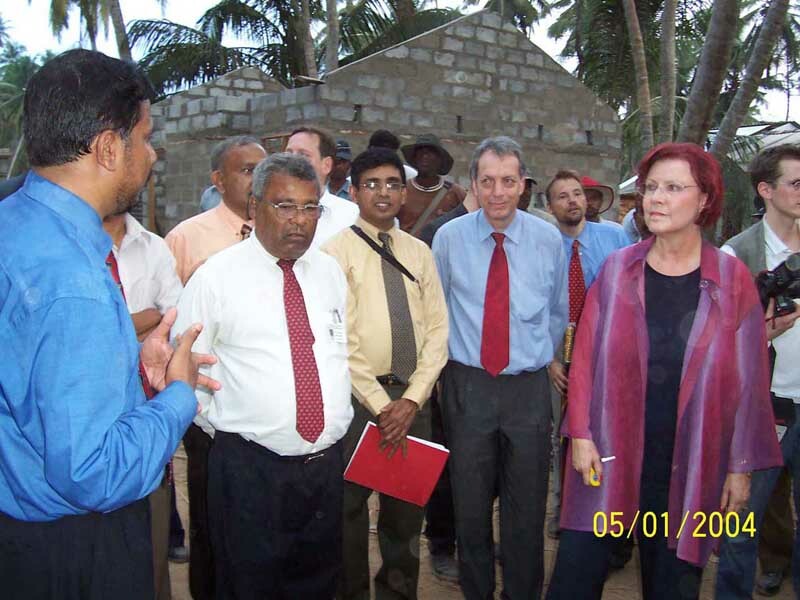 The „Hameln Hospital“ was handed over to the Sri Lanka Red Cross on March 15th, 2005. This puts the local Red Cross in a position to intervene independently in the event of smaller disasters. Meanwhile, „Hameln-Pyrmont helps“ has been converted into „INTERHELP“ and is now under the patronage of Prince Alexander of Schaumburg-Lippe, who also serves as a patron for “ Children in Need “ (Kinder in Not).